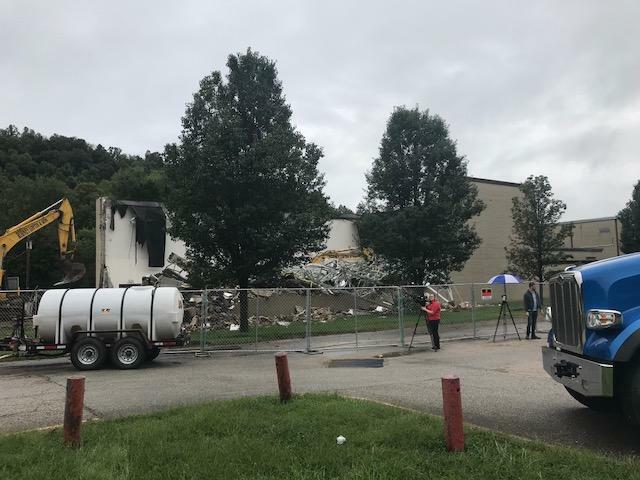 Demolition crews started tearing down Herbert Hoover High School in Kanawha County on Monday. 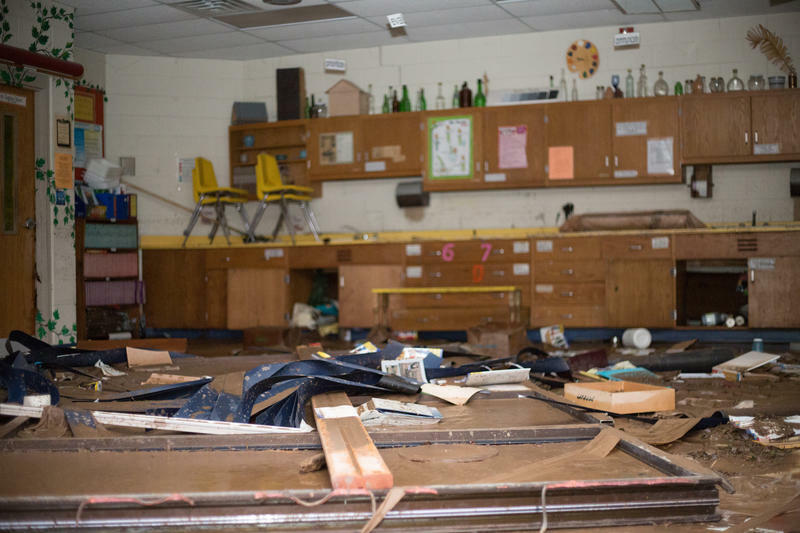 The high school was damaged by high waters during the 2016 flood. North Carolina State's home game against No. 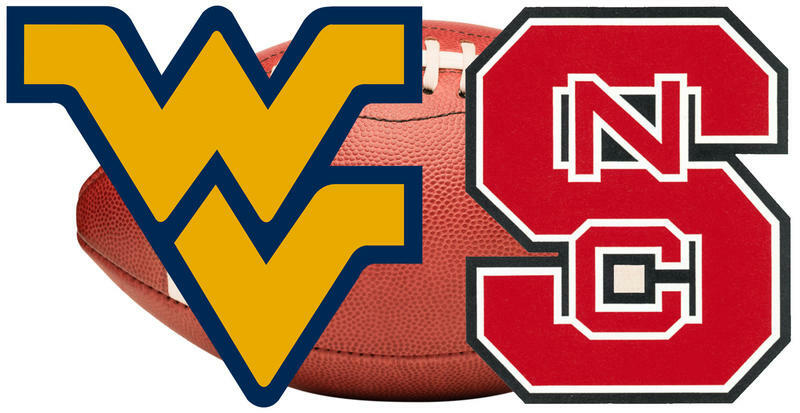 14 West Virginia won't take place Saturday with Hurricane Florence approaching the state. The schools announced the change Tuesday afternoon, citing the "increasing likelihood of severe and unsafe conditions." The school said the decision came after discussions with West Virginia, the Atlantic Coast Conference and emergency management officials. 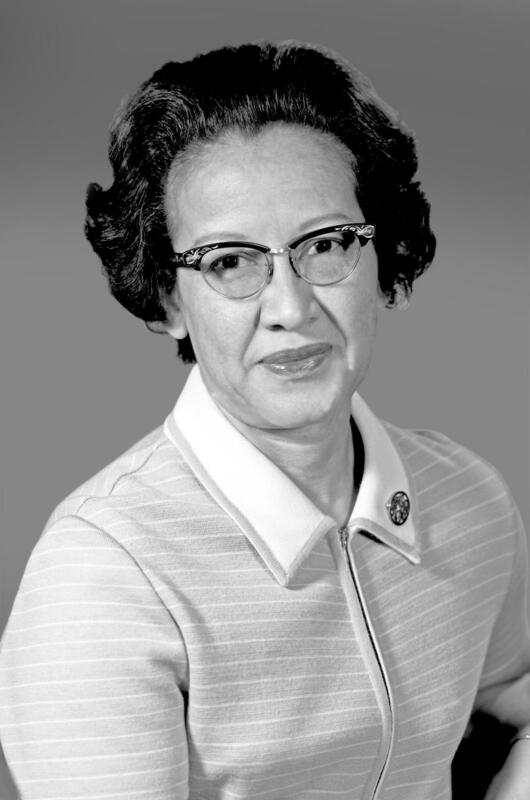 West Virginia State University has honored NASA mathematician Katherine Johnson with a bronze statue and scholarship dedication on the eve of her 100th birthday. Johnson turned 100 on Sunday. She graduated from the school in 1937 at age 18 with bachelor's degrees in mathematics and French. A group reviewing West Virginia's higher education system wants two-year community and technical colleges added to the study. 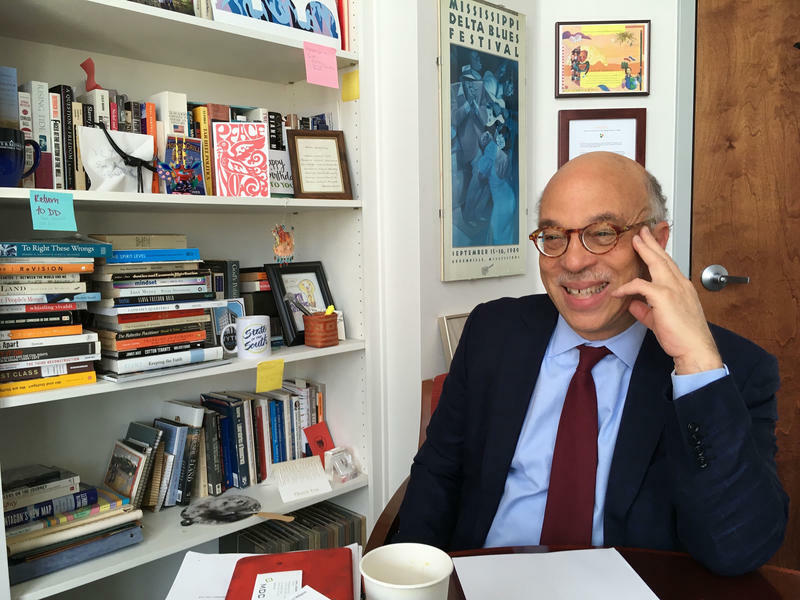 News outlets report the Blue Ribbon Commission on Four-Year Higher Education voted Friday to draft a response to Gov. Jim Justice's executive order that created the commission. 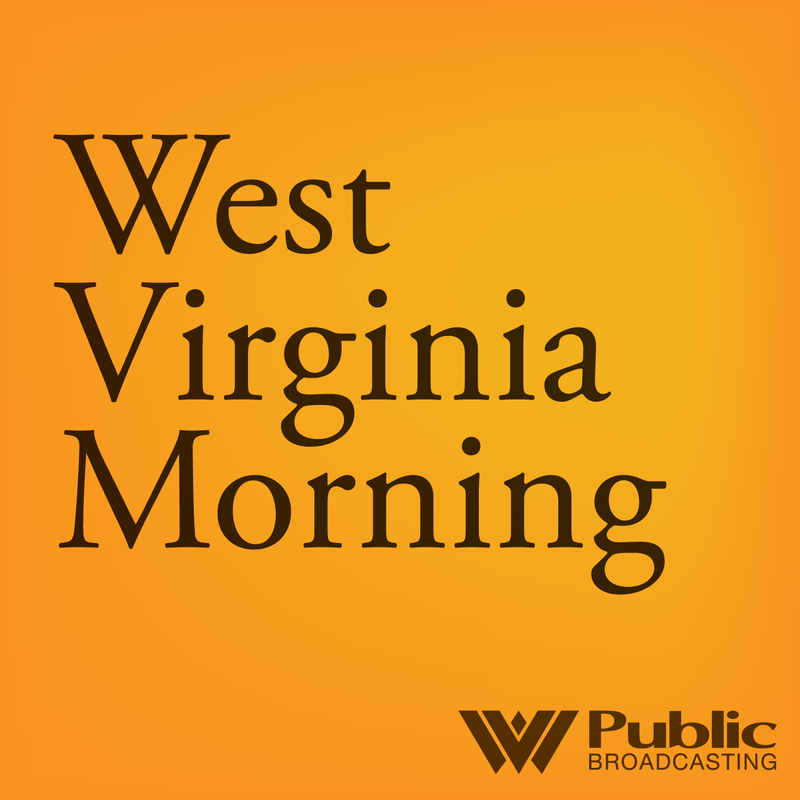 On this West Virginia Morning, West Virginia Public Broadcasting will cosponsor a screening of the documentary Recovery Boys tonight at University of Charleston’s Geary Auditorium. It’s part of WVPB's Recovery project – a focus on substance use disorder and the various paths to recovery. Part of this effort is sharing stories of those in recovery. Executive producer Suzanne Higgins recently visited with Kelly Strickler, of Huntington, to hear hers. 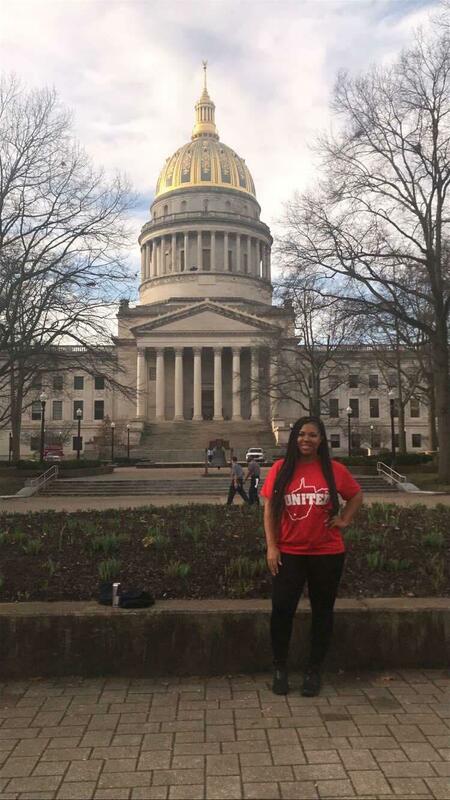 How One Morgantown Student Brought the #NeverAgain Movement to W.Va.
After a deadly mass school shooting in Parkland, Florida this past winter, students are speaking up and taking action hoping to make change across the nation. 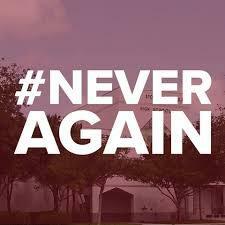 Founded by the survivors of the Marjory Stoneman Douglas High School shooting, the “Never Again” movement spread across the country and made it to Morgantown through Rebecca Brazaitis, a sophomore at Morgantown High School. 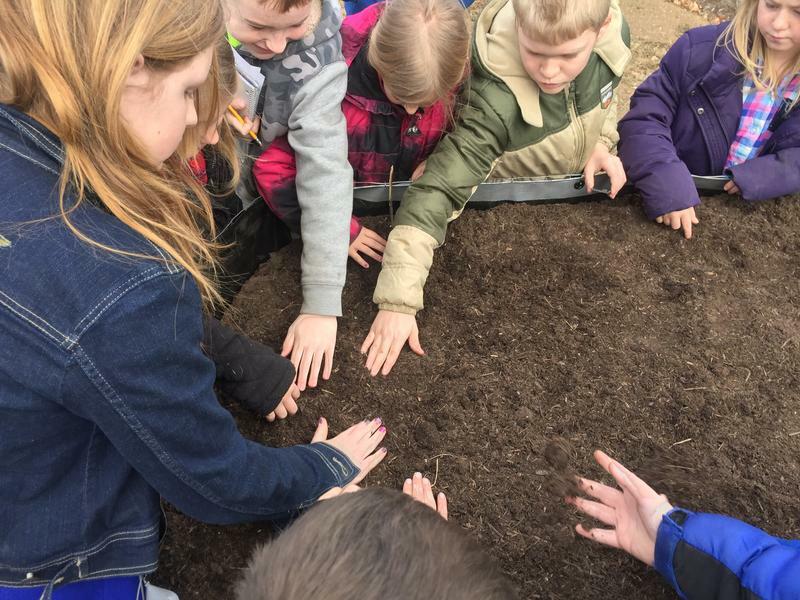 On this West Virginia Morning, while the nation is focused on the treatment of immigrant children at the border, some teachers are focused on the children of migrant workers in the Ohio Valley. The teachers are setting politics aside to put kids first with a migrant education program. And, as Nicole Erwin reports, the changing faces in the program offer some insights into the shifting demographics among migrant workers. 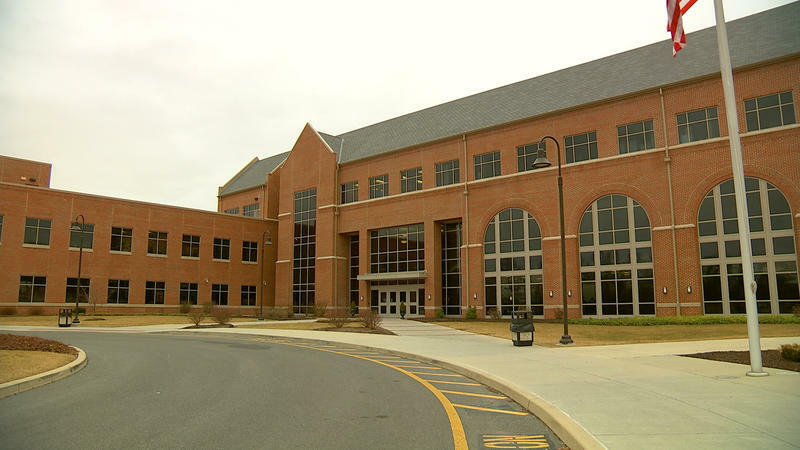 West Virginia State University says it will establish a learning center for students in the education department after receiving a significant financial commitment from a 1950 alumnus. 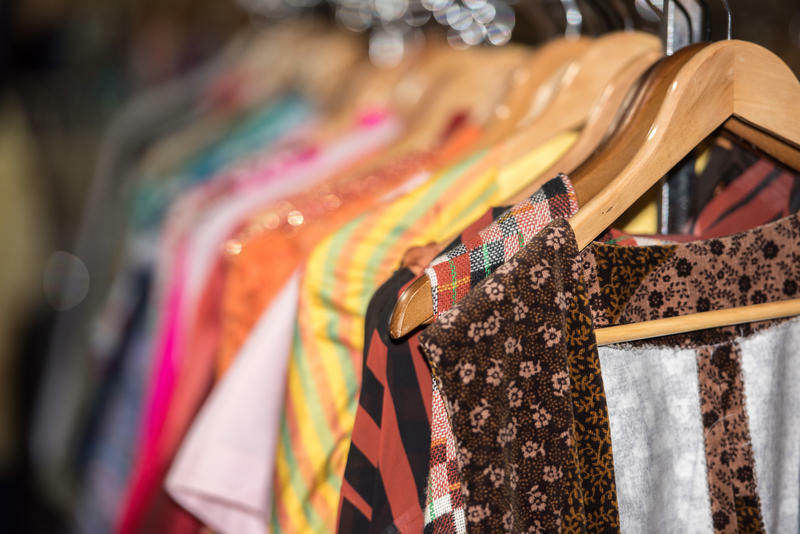 West Virginia will start taking applications for school clothing allowance on Monday, July 2. The allowance is for eligible children enrolled in West Virginia schools. The program is administered by the Department of Health and Human Resources' Division of Family Assistance. The West Virginia Higher Education Policy Commission announced that over 3,000 students who are graduating from high school this year have been awarded PROMISE Scholarships. Students from middle schools across West Virginia are gearing up for the final round of a new Cyber Robotics Coding Competition in Fairmont. 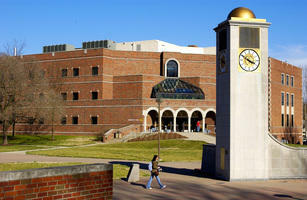 Finals for a New Hampshire-based Cyber Robotics Coding Competition will be held on Fairmont State University’s campus. 60 West Virginia middle school students will meet for a coding face off followed by an awards ceremony on Thursday, May 17. Our region has challenges, from the economic decline of the coal industry, to the opioid epidemic, there’s work to do in our communities. In this episode of Inside Appalachia, we’ll hear from several people who are trying to reinvigorate our region with opportunities for change. We’ll also hear from some younger voices in Appalachian, North Carolina about growing up in the mountains. 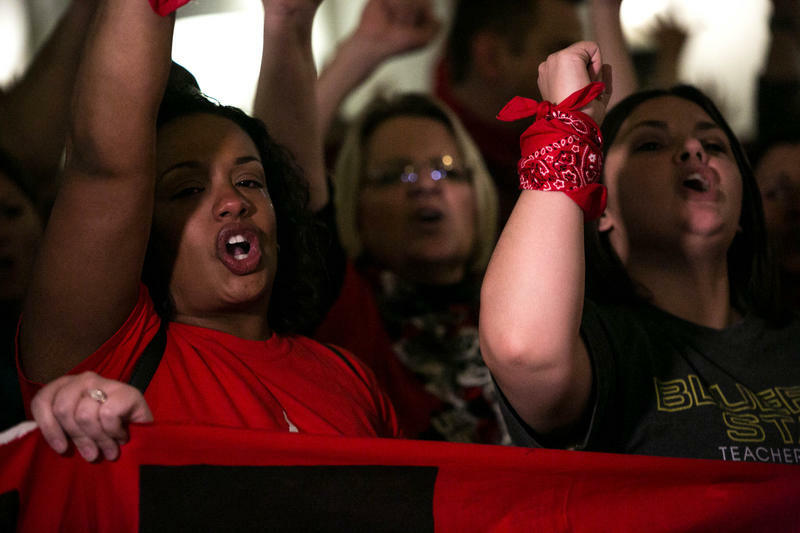 As teachers in multiple states protest for better pay, a new study warns that the fast-growing South region must invest more in public schools and higher education to ensure its homegrown talent shares in its economic prosperity. 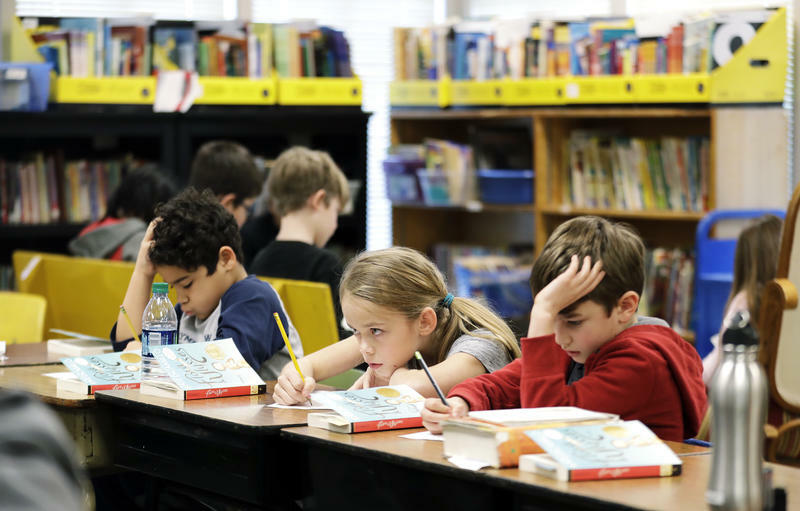 West Virginia fourth-grade students showed slight improvements in math and reading scores on the latest Nation's Report Card but remain below the national average. 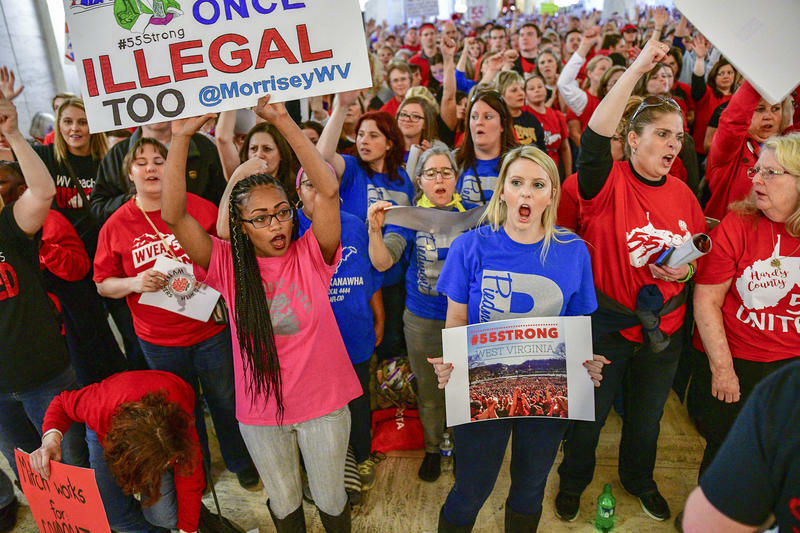 The 2018 West Virginia teacher strike earned international attention. In the weeks following the strike's end, The Charleston Gazette-Mail began a multi-media project to capture the strike using crowd sourcing and staff reporting. 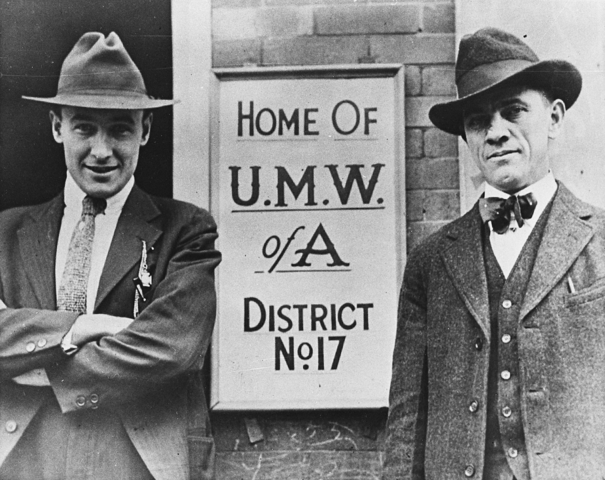 In collaboration with West Virginia Public Broadcasting and documentary filmmaker Elaine McMillion Sheldon, the Gazette-Mail produced a two part video series about the strike. 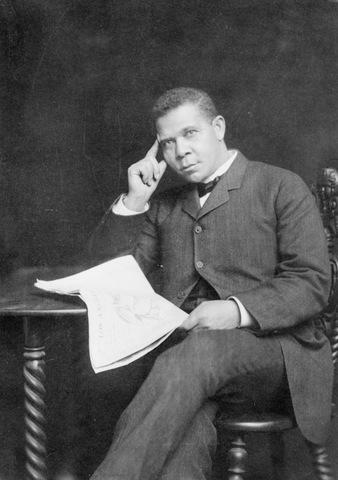 Educator Booker T. Washington was born a slave in Franklin County, Virginia, on April 5, 1856. After the Civil War, he relocated to Malden, a few miles east of Charleston, where he attended a one-room school for blacks. He also was tutored by Viola Ruffner, whom he later credited for instilling in him the qualities of cleanliness and hard work. After graduating from Hampton Institute in Virginia, Washington returned to West Virginia as a teacher. In 1879, he went back to Hampton as a professor. But when school was out, he’d come home to work in West Virginia’s coal mines. On this West Virginia Morning, a student at Concord University worked through trauma by finding ways to express herself with art. She’s hoping a degree in art will help her teach others how to find the same freedom. But without the help of a new program at Concord, she may have quit school. Jessica Lilly reports. 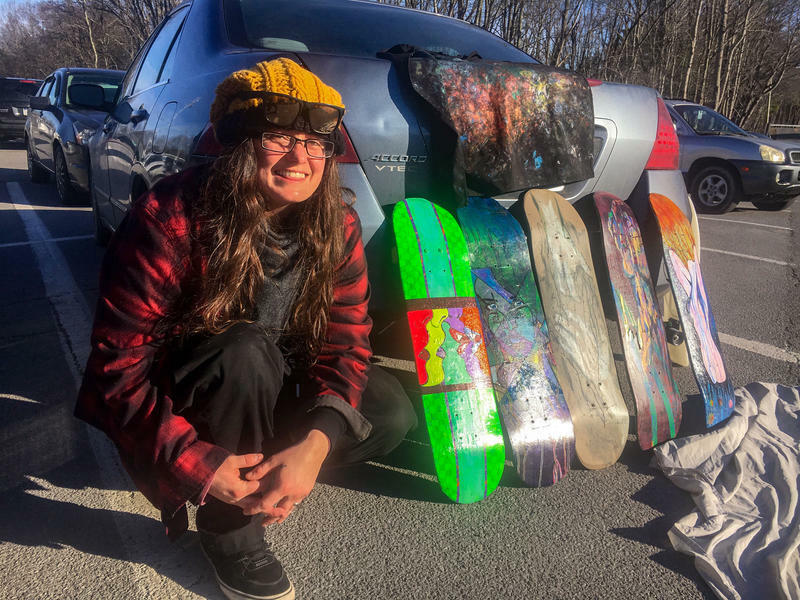 A student at Concord University worked through trauma by finding ways to express herself with art. She’s hoping a degree in art will help her teach others how to find the same freedom. 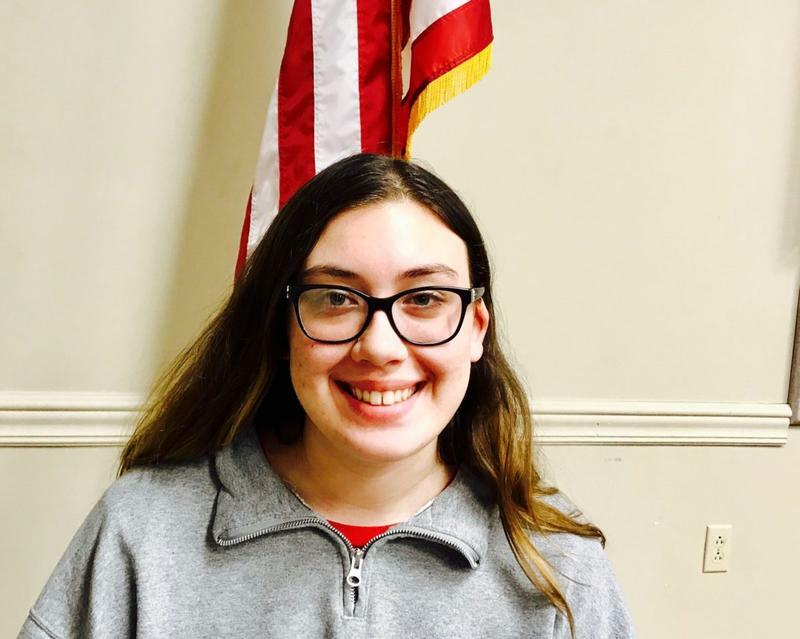 But without the help of a new program at Concord, she may have quit school. More than 150 Employers Sign-Up for Job Fair in Southern W.Va.
More than 150 employers, including Facebook, are looking for workers in West Virginia. 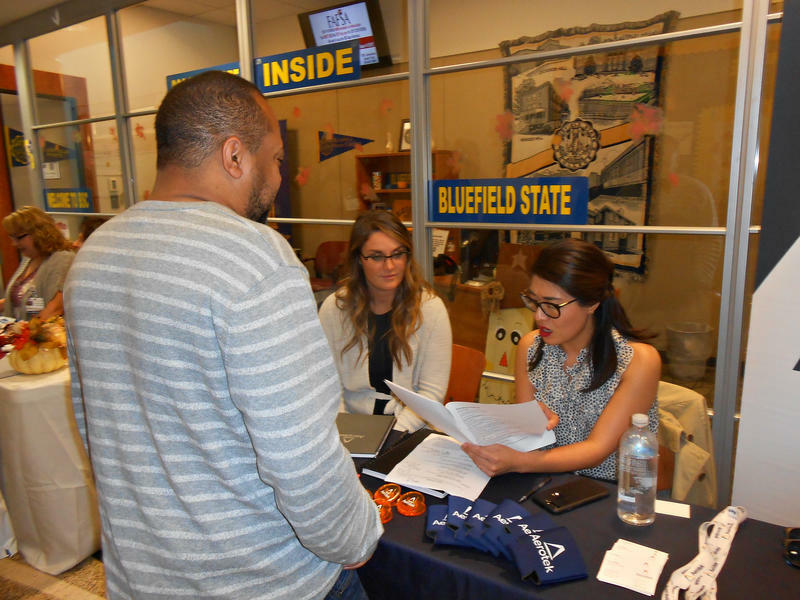 College students, graduates and area residents who are interested in work opportunities in West Virginia are encouraged to attend a job fair in Raleigh County. Wyoming County was one of the first school systems to decide to walk off the job during the recent statewide teacher strike, essentially starting what some are calling a labor movement. West Virginia Education Assocation President Dale Lee says Wyoming along with Logan, Mingo and McDowell made the first move. For about two weeks, teachers from across the state held signs and led chants inside the Capitol. 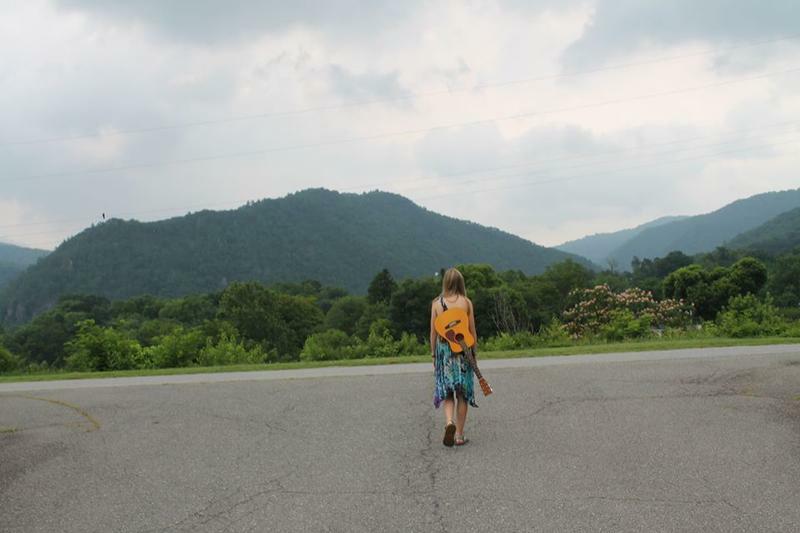 Inside Appalachia host Jessica Lilly caught up with one of those teachers, Nina Tunstalle, on her way up to Charleston.